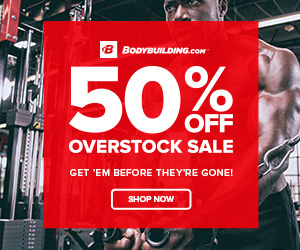 Anavar is one of the safest anabolic steroids on the market and Anavar cycle is so widely used and so effective that many believe the bodybuilding and fitness industry would not be in the state that it is without it. The models in adverts, magazines and various other publications will most likely be on the steroid. 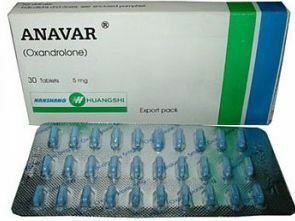 Anavar is seemingly tolerated very well by most women and is normally known as ‘the girl steroid’ even though both genders use it. 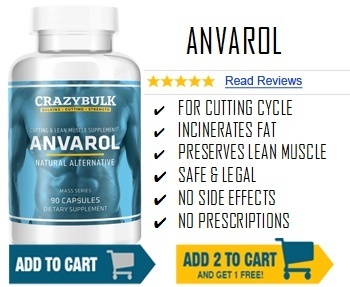 Anavar is best used during a cutting cycle due it’s nature of being a fast acting DHT (dihydrotestosterone) anabolic steroid that is taken orally. It’s effective at preserving lean muscle tissue and can also increase metabolic activity. Some women will also experience increases in lean muscle mass but for men, this will be rare. 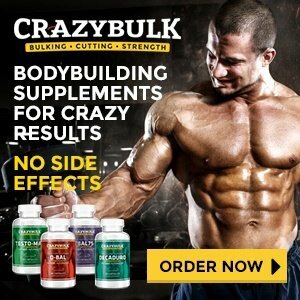 As a bulking steroid, others are more efficient and cost-effective. Anavar is not as strong as steroids such as Trenbolone or Equipoise but will be similar to the effects of Winstrol and other DHT steroids like Masteron. The main benefits of this steroid are the lack of side effects compared to other steroids. Anavar cycle works mainly to preserve muscle tissue that is often wasted during dieting and can aid in fat loss by boosting the metabolism. Similarly to Masteron, the drug helps the appearance of the muscle by making them look harder and more dense. For cutting i.e. leaning down, Anavar can be used by both genders. For men, 50mg per day is a good starting point though users can experiment up to 80mg. Going past this will not show much benefit, will increase the expense and also increase the possibility of side effects. As men need to take more, Anavar cycle can be costly for men with a 10mg tab costing, at least, $2. That means that at least $10 will need to be spent per day and so a 6 week period can cost upwards of $420. For women, recommended Anavar cycle dosage is 10mg per day over a 6 week period. More can be taken but it rarely makes a difference and increases the chances of side effects. If an individual wants to continue the use longer than 6 weeks then it’s wise to come off the drug for 3-4 weeks before restarting. This can affect competitions and such so it’s best to plan in advance when taking the drug. Though the steroid is usually well-tolerated by women, virilization can occur. Virilization is the process in which women experience typical male features such as hair growth, acne and a deepening of the vocal cords. These experiences tend to be few are far between and are far less likely if the individual plans their cycle responsibly. It’s almost deemed as the perfect steroid for women due to its lack of problems and high effectiveness. For bulking, Anavar cycle is often a poor choice as it will barely make a difference to an individuals size. Even with high doses, the effects are negligible and for the price, it’s best to use other steroids. For example, 20mg of Dianabol would create more lean mass gain than 100mg of Anavar. It can be used for the preservation, regeneration and repair of damaged muscle tissue in athletes during the offseason. This is also another benefit to using it during a cutting cycle where recovery times slow. The best individuals to take the drug will be off-season female athletes as they are more sensitive to the Oxandrolone hormone and it will add purely lean tissue to their physique. Most mass-gaining steroids will create just that: mass. However, Anavar results in only lean tissue which is another reason as to why it’s so commonly used. As with any steroid, it’s important to complete proper research first and make sure that taking steroids is something you want to commit to. Most competitions in the high ranks will check for steroid use, especially if you are competing in natural bodybuilding. For athletes, drug tests are commonplace and due to Anavar’s frequency of use, it is one that is often picked up on. If you are looking for Anavar for sale online and want to use it I encourage you to thoroughly examine all facts. Do not rush into anything as once you use the steroids you cannot un-take it.